If you are familiar with American V-twin motorcycles, you have probably heard of S&S Cycle. S&S Cycle was formed in 1958 in Blue Island, Illinois by George Smith Senior and Stanley Stankos. Smith and Stankos, hence the “S&S” title, began selling performance pushrods for v-twin engines at the company’s original location, which was actually in the basement of Smith’s house. Soon after the formation of S&S Cycle, George’s wife Marjorie (her maiden name was also Smith) bought out Stankos. In 1969 George and Marjorie moved the family business to Viola, Wisconsin, a small farm town. Viola is where the majority of the businesses manufacturing takes place today. Now, over fifty seven years later, S&S Cycle is still a family owned business. Known as a premier motorcycle performance part manufacturer, S&S Cycle employs over two hundred employees who contribute to the manufacturing of their performance motorcycle products. Of course, growing at such a rapid pace, S&S Cycle quickly out grew the family farmhouse, which by the way is still in use today as part of the research and innovation department. 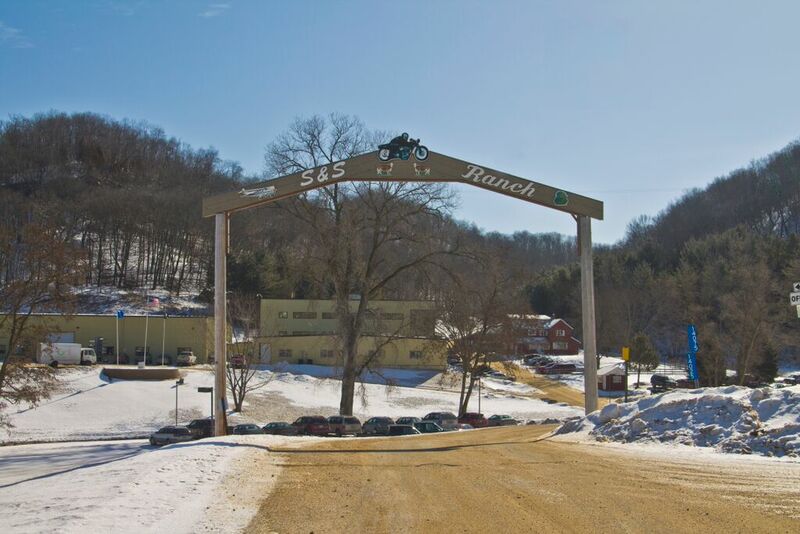 While many new structures have been built on the original Smith family farm, also dubbed "The S&S Cycle Ranch", one main building houses over seventy five CNC machines which are required for the overwhelming production schedule. This large scale manufacturing facility is a direct reflection of George Smith and the gangs use of the Harley Davidson v-twin engine as a baseline for producing performance motorcycle products. The Harley Davidson motorcycle has always been popular amongst the motorcycle enthusiast but the motor company never seemed to be able to produce an engine powerful enough to satisfy all of their customers. S&S Cycle in turn built a sizeable empire filling this performance void that Harley Davidson left on the table. 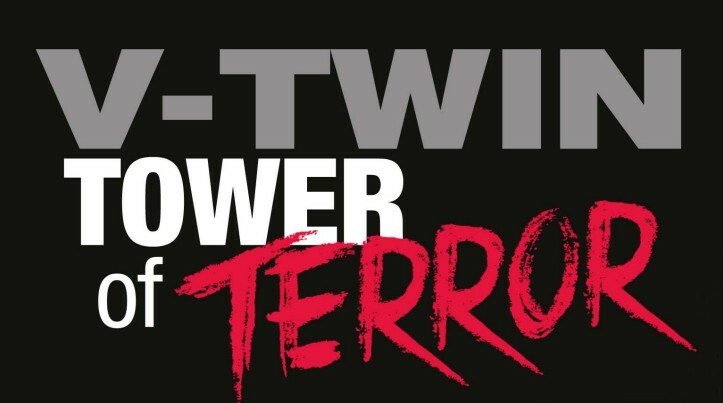 Now they have come up with their biggest performance upgrade yet, the monster T143. To be more specific, the T143 is a twin cam 143 cubic inch engine, which is a complete replacement engine for the newer model Harley Davidson touring bikes. 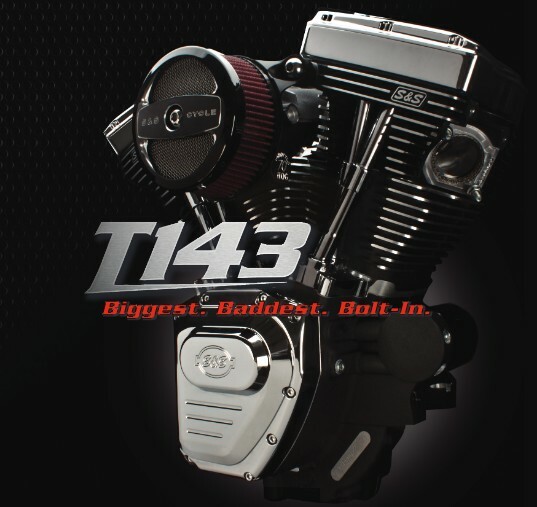 The T143 engine is by far the largest cubic inch engine that S&S Cycle has created for the street that will bolt directly into the stock motorcycle frame. Sure S&S Cycle has made bigger cubic inch engines in the past, but those were specifically built for the race track. The T143 is not the first replacement engine that the company has brought to the market place. S&S Cycle has been making Harley Davidson replacement engines for many years. S&S has made just about every type of Harley engine, from the Shovelhead engine to the popular Evolution engine that most of the custom bike builders have depended on to make all those wild and crazy custom choppers. S&S Cycle has spent the past decade designing several big cubic inch model Twin Cam replacement engines for the motorcycles that Harley started manufacturing in 1999. S&S Cycle has specifically made the T111, T124, T126 and T145 cubic inch Twin Cam engines for several years now with huge success. So now, you are saying wait a minute, I know a T143 is smaller than a T145 and of course you would be correct. So what is so great about the T143? Well this is where the differences all begin. The T145 being bigger in cubic inches is also taller in design due to the stroke and rod length. The overall height of the T145 restricts the applications that it will fit and a stock frame is definitely out of the question, unless you do extensive modifications to the frame. The T145 was originally designed for custom bike builders as a way to pay tribute to S&S Cycle’s 45th year in business. Enough about the T145, let’s get back on track with the T143 and see what all the hype is about. Just as S&S Cycle was founded on making motorcycles faster, many of S&S Cycle’s customers keep asking for bigger and faster engines too. This is when the engineers at S&S Cycle collaborated on a design that would meet the customer’s request for more horsepower in an engine that would still fit in the factory frame. Thus the T143 was born. Giving careful consideration to the tight constraints of the newer touring model Twin Cam Harley Davidson motorcycles, several bore and stroke formulas were drawn up trying to find the right combination that would not be too tall and that a customer could bolt into their bike with minimum modifications. The final numbers came in at 4.425” for the bore and 4.625” for the stroke thus giving them the biggest engine to date that will fit in the stock production motorcycle. Here is some food for thought, Harley is now sending out the twin cam engine bikes with 103 cubic inch engines jumping from the original 88 cubic inch and then the 96 cubic inch all of which have a bore size of less than 4”. In bringing this engine to market, S&S Cycle also implemented some of their newest performance parts. 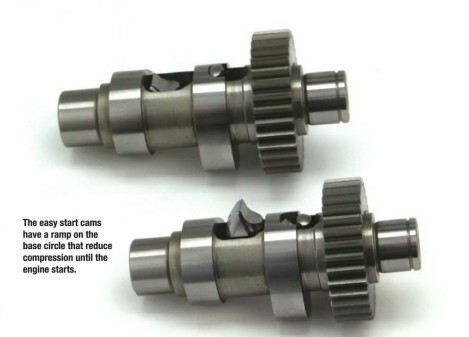 One of the new items that S&S Cycle has recently started to offer is the easy start cam shafts. The T143 comes from S&S Cycle with their newly ground .635” lift easy start cam set. When the .635” cam is paired with a 1.725” S&S Cycle made roller rocker ratio, it gives the engine a total lift of .674”. The easy start cams were designed to aid the sometimes hard starting of Harley Davidson engines, especially when aftermarket modifications have taken place. The trick to fix this starting issue was to add a spring loaded compression release lobe on the base circle of each exhaust cam. This smaller lobe at the point of where the valve would be fully closed actually holds the exhaust valve open slightly at cranking speed to make the engine much easier to start. Once the engine starts and rpm increases, the engine will run normally without any loss in performance as the compression release lobe is centrifugally retracted. This allows the stock starter and battery combination to start virtually any engine regardless of bore, stroke or cam duration. The second addition to the T143 engine was a new three piece flywheel. One of the first parts that inspired George Smith senior was his development of the stroker flywheel for Harley Davidson engines. Today S&S Cycle is still striving to design the perfect v-twin crankshaft. The recently released three piece crank is giant leap in that direction. Not only is the three piece crank included in the T143 engine, it is something that S&S Cycle will be implementing into most all of their engines as it offers many benefits. The three piece flywheel with integral mainshafts, eliminates two potential points of weakness. It goes without saying that the S&S Cycle engineers have come up with a flywheel that will be stronger and more reliable than its predecessor. S&S Cycle started out with a special heat-treated piece of 4140 material that is harder and stronger than stock by 114%. This material is so hard that it eliminates the need for thrust washers in the flywheel. 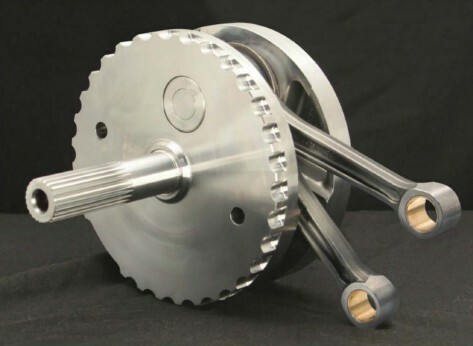 The three piece flywheel was also designed with a larger cross sectional area for more crank pin clamping force thus allowing the crank to go into production with no welding. The crank pin diameter has also increased from 1.500" to 1.671" and carries 20 rollers verses the stock 18, making the crank virtually indestructible in this area. Finishing out this new flywheel is a 7.800" connecting rod set that has a full width small end compared to the stock Harley rod which has a tapered small end and a rod length of 7.667". With the implementation of all these features on the new crank, the T143 engine is capable of turning more RPM with considerably less vibration. Aiding in the T143’s ability to turn higher RPM is the new B3 heads. S&S Cycle has manufactured replacement heads for Harley Davidson engines appropriately named "super stock". These super stock heads will bolt onto a stock bore Harley engine even though they have considerably larger than stock valves. While these heads were popular with custom performance shops as an easy way of boosting horsepower on a stock engine, S&S Cycle was getting requests for something even bigger. With a demand from their core base, the company began developing a B2 head which looks very similar to a stock head at first glance. The biggest difference is the valve sizes and port shapes. While the super stock heads come with a 1.900” intake and a 1.600” exhaust valve, the B2's have a 2.200” intake with a 1.800” exhaust and will only fit on a 4.125” or larger bore. The ports are also unique as they have an oval shape to help provide proper air flow for the larger valves without getting into the spring pad area. The oval ports require a special intake manifold as well. Although the B2 heads have been labeled as a “race only” head by S&S Cycle, several curious builders started installing them on their customer’s street bikes that had the S&S Cycle T124 engine in them. The T124 has the required minimum bore size. The B2 head has been around for several years now but S&S Cycle is not one to rest on its laurels. 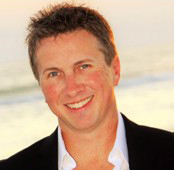 They began looking at a way to improve the current B2 head which has gained so much popularity in recent years. The first step in designing the new head was to start fresh with a new port design. The reshaped ports saw major changes especially on the intake side where a larger 2.300” intake valve was installed. The exhaust port modification is a larger than stock two bolt flanges as compared to the B2 heads which until recently came with a four bolt flange design. The chamber was also revamped and came in at 108 cc’s which gave the T143 a compression ratio of 10.4 to 1. With the major changes in place, S&S Cycle thought it would be appropriate to name this head "B3". The “B” series head, as mentioned earlier, takes a special throttle body as the ports are oval shaped. S&S Cycle once again had to go to the drawing board and come up with the proper induction system. Harley Davidson introduced the electronic throttle control (ETC) or more often referred as the "fly by wire" throttle body in 2008 on several of their touring model bikes. The fly by wire throttle body has a geared permanent magnet DC motor mounted on the side which also houses two throttle position sensors. The fly by wire unit allows for a “cleaner” system that also integrates Harley Davidson’s electronic cruise control with no cables necessary. S&S Cycle designed their on throttle body and came up with a way to retro fit the throttle control actuator. 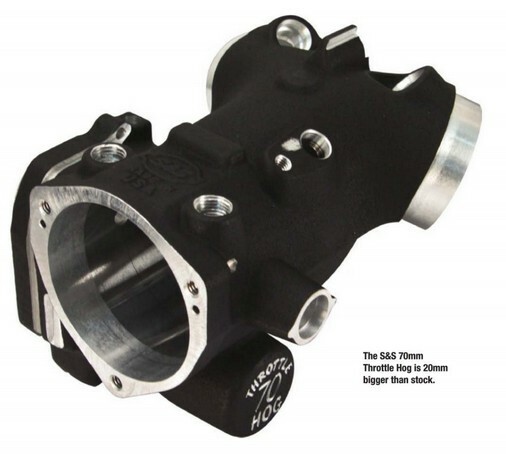 S&S Cycle chose a 70mm throttle body known as the “throttle hog” to make the T143 breath. With all these new changes in place, the T143 eventually made it to the chassis dyno. 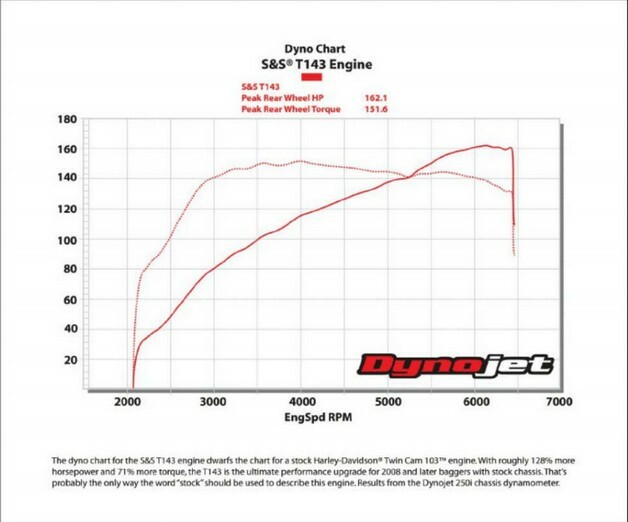 Most new engine designs take time to come up to speed but with S&S Cycle’s years of knowledge in this area cut the dyno time significantly. After much preparation and anticipation, the T143 was producing 162 horsepower at 6,200 rpm and 151 foot pounds of torque at 4,000 rpm in no time. Now, compare that to the stock 103 cubic inch engine from Harley Davidson making 69 horsepower. The T143’s staggering numbers have brought smiles to the faces of the S&S faithful. The T143 more than doubling the horsepower of the factory engine while retaining the stock fit and drive ability, gives S&S Cycle a new bullet in their already popular arsenal of Harley replacement engines.